Thank you for the resounding support for Mayfield’s annual Positive Friendship week. 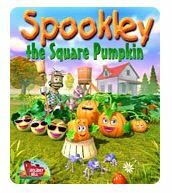 It was great to introduce you all to “Spookley the square pumpkin” and to go through his story with you, highlighting the important lessons as the clips progress. I hope that you all took something from the story and that you will refer to Spookley through the year should you need any support – the presentation is available for reference too. Please remember that I am here should you need anything.